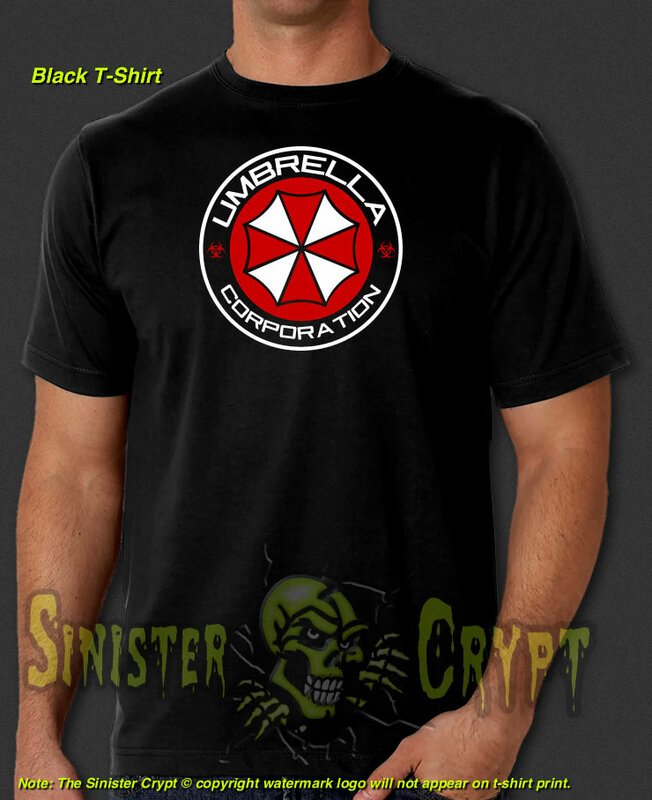 Umbrella Corp. Resident Evil Video Game t-shirt. 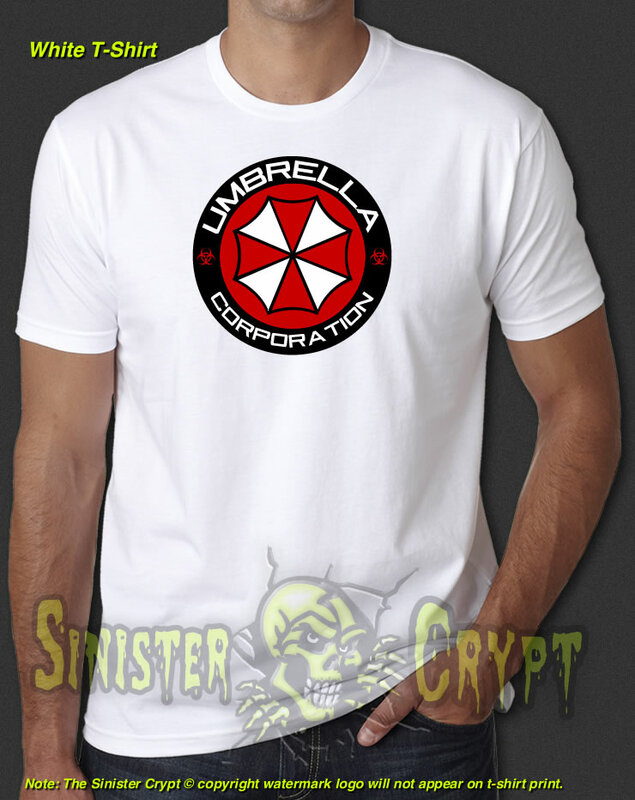 The Umbrella Corp. is an omnipresent corporation in the video game and movie franchise for Resident Evil. The corporation is reputed for its evil and ruthless nature, sacrificing anyone and anything in their quest to achieve perfection with the t-virus. Makes a great gift!